Jr NTR fan or not, one look at the Jai Lava Kusa teasers and you are lured into the movie. Especially with the actor portraying triple roles; this Navratri, I expected one hell of a watch. 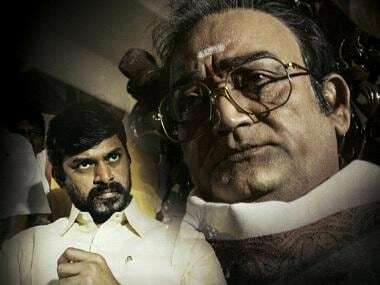 With just two minute glimpses NTR managed to impress with the variation in portrayal of Jai, Lava and Kusa in the movie. Especially the character Jai, who is shown as a Raavan bhakt is by far the most fierce role the actor has played. Now, nothing much changed in the movie as well. NTR as Jai continued to enthrall audiences in a never seen before avatar, also thanks to Devi Sri Prasad's mind blowing track Asura, pumping up his character. As Kusa, the actor managed to do the job of a comedian as well, ensuring there is a laugh riot every time he came onscreen. With Lava he pulled off the age-old, typical naive boy look. But what is highly bothering is, how such well sketched characters and hard work get lost in stories like Jai Lava Kusa and even Janatha Garage, for that matter. Jai Lava Kusa tries telling us a story of three brothers and how the alienation of one leads to him turning evil. During this journey of three brothers and how they get along (or not), we are introduced to several other avoidable characters/aspects, and are forced to watch scenes which imply 'yet another no brainer'. Except here we have an actor who has our attention effortlessly. Jr NTR's latest, Jai Lava Kusa and his last multi starrer blockbuster Janatha Garage (2016), both pass of as entertainers and top movies of the year. But, with very little quality. There is minimal content in these movies and the plots don't seem to give up on cliched, mindless style of Telugu cinema. But the big question is, should we glorify poorly packed films in the name of it? Five years ago maybe, Jai Lava Kusa wouldn't have bothered me as much as it is today. 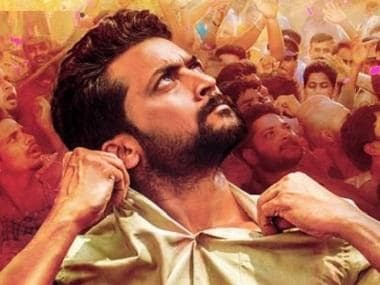 But after witnessing magnum opuses like Baahubali, intelligent cinematography in Arjun Reddy and simple yet brilliant entertainers like Dhruva and Race Guram to name a few, watching unnecessary action sequences is getting monotonous and questionable. Especially when Jr NTR is killing it with his performance, but that really is the only good thing about the movie. This sort of reminds me of how Vivegam managed to break the box office with nothing but Ajith's presence and many of those Rajinikanth movies in the recent past, where star power over took quality cinema. We know when these actors are on screen, it is a delight. Nothing can really go wrong, they say. But the audience are often in a puzzle. As a cinema goer, Jai Lava Kusa too left me extremely puzzled. I wonder if these star movies deserve the kind of attention they get. Frankly, most of them make it only because of the superstar 'tag'. Jr NTR is seen pulling off the entire movie on his shoulders. Like in many Telugu movies, the lead female actors, Rashi Khanna and Nivetha Thomas hardly have a role to play and even Mental Krishna's comedy is hardly experienced, because NTR's role as Kusa was already making the audience laugh out loud. When Jai walks into the story, after almost half of the movie, that's when we sit up. His introduction is cut well and the background music elevates the mood and puts us into the world of an evil Tarak. But suddenly, we are back to reality, where random stuff happens on screen and all the good elements are lost. At a point, I was glued to the screen wondering how he was bringing out so many different emotions, both in himself and us. The actor is seen reciting dramatic lines like a boss, he leaves the audience in splits with amazing comic timing and is dancing his heart out. So hell yeah, the movie is entertaining, but sadly there is nothing beyond that. 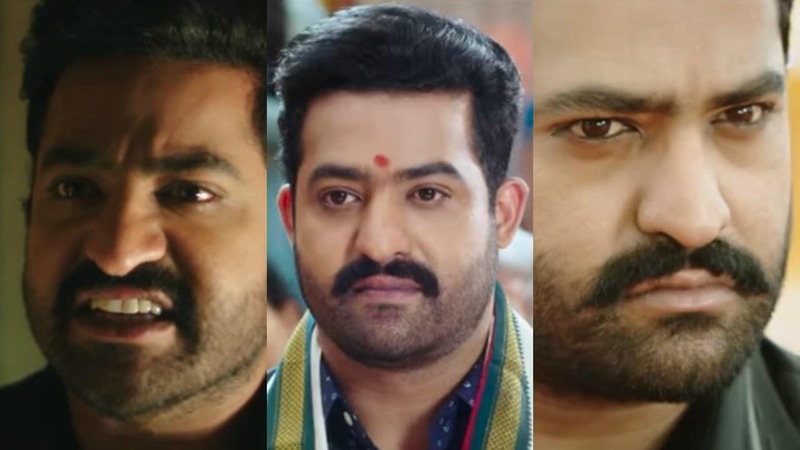 NTR Jr's 3 avatars in the film. Youtube screengrab. Why we complain? Take Brindavanam and Yamadonga from the actor's past movies. Both the movies were perfectly packed entertainers. But they worked in terms of quality as well. In many scenes, it felt like Jr NTR's reduced showcase in Yamadonga just got a larger setup in Jai Lava Kusa. I remember getting goosebumps when NTR takes on Yama in pure style and gives us flashes of his legendary grand father and actor NT Rama Rao. So, Tarak's stage presence is nothing but expected. As Jai, NTR Jr not only scares characters on screen but he also manages to stay on our mind as an adamant, hurt and vengance-filled human. The actor carries forward the body language in the songs as well. Not once does he slip and clearly he fits the bill. But sadly his movie doesn't. They say, you could love a thala movie, you can hate it, but there is no ignoring it. With Jai Lava Kusa, NTR Jr might just be getting into that space. Watching Ajith, Vijay, Rajinikanth, Allu Arjun, Mahesh Babu and most recently Prabhas movies, is like a mini festival. Fans are always screaming their lungs out and celebrating the smallest of moments, like merely the walk of the actor. All this often making it look like we are watching brilliant cinema. But that is just star power, sometimes the actor is hardly doing anything. The most boring and avoidable parts of the movie, belong to the first half when the three roles don't share screen space yet. There are points where you would even say poor screenplay, but stop and think for a second, because Jr NTR has got that covered. With the way NTR's stuttering character Jai was presented, my expectations of Jai Lava Kusa where on an all time high. I was expected to be mind blown not only by his performance but the movie as a whole. But the Kalyan Ram production seemed to be lost in transit. If only we let actors showcase a compelling story along with their compelling performances and not just only one of it.